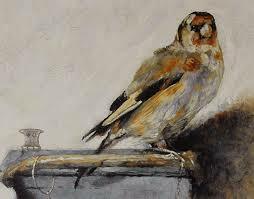 The story is based on a small exquisitely drawn painting of a goldfinch on a perch, by Carel Fabritius who was one of Rembrandt’s most gifted students. What you notice when you look closely, is that the bird is chained to its post, adding pathos to the representation. Who owns it? Why is it chained? The goldfinch is so central to the novel that it becomes like a character in itself. An interesting historical note about the painter Carel Fabritius: he was killed in the Delft gunpowder explosion of 1654 which destroyed a quarter of the city, along with his studio and many of his paintings. It’s not a coincidence that Tartt’s story contains an explosion in a museum where artwork is destroyed or that the novel begins and ends in Holland. ‘The Goldfinch’ tells the story of Theo Decker, a young boy whose life is rocked by a terrible tragedy, an explosion in a museum that kills his mother and creates an encounter with a dying elderly man and the small Fabritius painting. From there the story follows Theo through a host of homes and experiences that lead him ultimately to the very underbelly of crime and art theft. His journey is one that I thoroughly enjoyed, mostly because of Donna Tartt’s writing. I think the book should have been shorter, because it would then be accessible to more people. Many will not have patience for almost 800 pages when there’s not as much action as there is beautiful writing. Certainly things happen in the novel, even shocking things, but I would not describe it as a page turner, even though I couldn’t put it down and didn’t want it to end. To me it was a work of art in itself and as unforgettable as a famous painting. This entry was posted in Fiction, Four Star and tagged Carel Fabritius, Donna Tartt, The Goldfinch. Bookmark the permalink. This is a book not to be rushed. Read it when you’ve got some time like on vacation. Your comment intrigues me. Do we change as readers over time? I look forward to Secret History now! Thanks for your review. I’ve just started the book in preparation for a book discuss in a couple of weeks. Intriguing book. Your book group will have lots to discuss Cheryl! 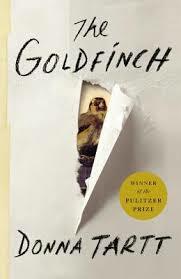 I so much want to read The Goldfinch by Donna Tartt. What an amazing writer and a really, really good story. Loved it. Well done Kristin! Glad you loved it!